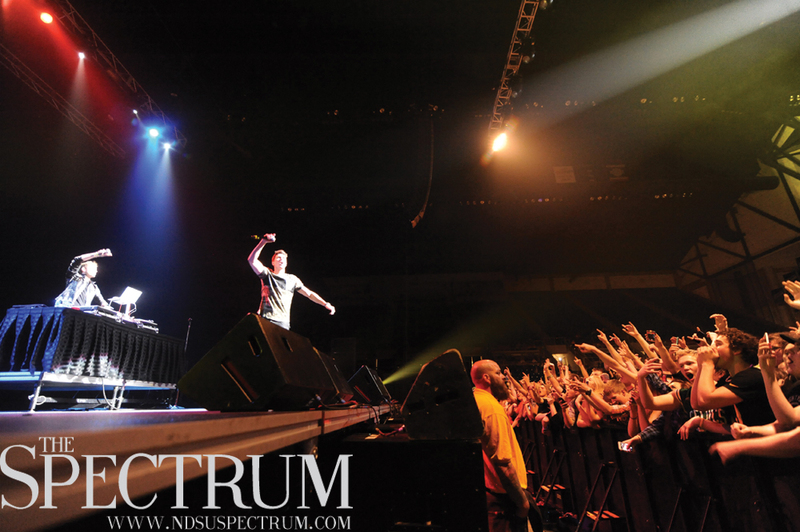 Timeflies, shown here in concert at the Fargodome last May, return to Fargo on Friday for a concert at The Venue. From its raging Fargodome concerts to its outdoor Bluestem events to its downtown nightlife, Fargo-Moorhead has live music covered. Local acts, student music and traveling artists are lined up for this weekend. These are just a few of the live music events going on this weekend, so get out and check out what the area has to offer for the ears. Start the end of the week out with some Twin Cities R&B pop soul and F-M hip-hop. Minnesota native Caroline Smith teams up with local group D Mills & The Thrills for this 7 p.m. concert at The Aquarium over Dempsey’s on Broadway in downtown Fargo. Smith released her “Let ‘Em Say” single and music video in late September with hip-hop artist Lizzo, with a portion of the project’s proceeds going to The Women’s Foundation of Minnesota. Download the track at lizzoandcarolinesmith.bandcamp.com. Tickets for this show are $10 in advance and $12 at the door. Five months after Spring Blast with the Bison at the Fargodome, Rob Resnick and Cal Shapiro of the duo Timeflies return to Fargo for a concert at The Venue at The Hub in south Fargo. All ages are welcome as the rising pair performs after an opening set from Down With Webster & Kap Slap. Tickets are $25 in advance from Jade Presents online, by phone or at 218 Broadway. Doors open at 7 p.m. for the 8 p.m. show, which is the second 2014 appearance by Timeflies in this town. The students of North Dakota State’s University Chamber Orchestra present their fall concert at 7:30 p.m. Saturday. The spacious settings of Festival Concert Hall should arrange a great atmosphere for the event. This concert is also one of the school’s first offerings since the renaming of the NDSU School of Music to the Robert and Sheila Challey School of Music earlier this fall. Tickets are free for students, and call 701-231-7969 with any questions. As far as primary research shows, the only percussion/pipe organ duo in the world is taking the stage atat 4 p.m. on Sunday at First Presbyterian Church in downtown Fargo. English organist Clive Driskill-Smith and percussionist Joe Gramley of the University of Michigan comprise the two-man team behind the organ, marimba, xylophone, tympani and other instruments that boom and crash. Music by Gustav Holst, Aaron Copland and others are on the roster, some of which has been specially arranged by and for this duo. This once-in-a-blue-moon concert is presented by the Red River Valley Chapter of the American Guild of Organists as its biennial concert. Tickets are just $8 for students with college ID.